Home » Giveaways » You and I can make this happen! You and I can make this happen! I have been unbelievably blessed and stretched by my children as a mother. Someone once said to me in regards to motherhood that the days are long but the months are short, and they were right! I am thankful to the moon and back to have had the extras I needed to raise healthy kids so I am SUPER happy to team up with Vitamin Angels to pay it forward and give moms in need vitamins. I am reminded of how quickly children grow when I see this picture. 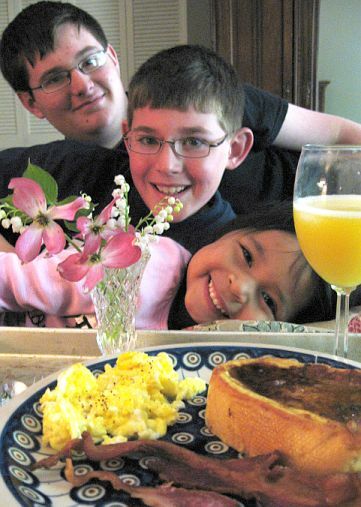 Those two boys are now in college and that sweet little girl is in the fifth grade. How thankful I am for these healthy children. It hasn’t always been easy though, and through the years I have kept the struggles we’ve had private. In fact, I’ve only shared them here once. I look back now and wish I could have found the voice to be more open. I wish I would have claimed the small victories and wins. I have come to learn that the way to fully enjoy each day is to be thankful for all the wins… no matter how small, like the dishes getting put into the dishwasher, a coat being hung up, a kind word spoken to a sibling, or a child helping a neighbor. All these little small mom wins definitely make up a sweet life. I couldn’t have had many of my “mom wins” without the help, support and community of other moms. For every meal that was brought to my home on days I was overwhelmed, for the moms who took CPR so they could watch our new baby with Long QT, to the foster mom that loved our little girl until our adoption was final, to the mom that shared a kind and knowing smile while my child misbehaved, I’m thankful. If we choose we can help each other win! We can support each other instead of judge. Today I have a huge request. Will you do one small thing for other moms? Let’s pay forward all our blessings and help moms who would benefit from vitamins win. All you need to do is share a #momwin -a tiny moment or epic achievement in the daily life of a mom. Yes, you absolutely do have them. Remember, the small wins count. In fact, it is all those small wins that make up the big picture! Vitamin Angels is a charity you can trust. 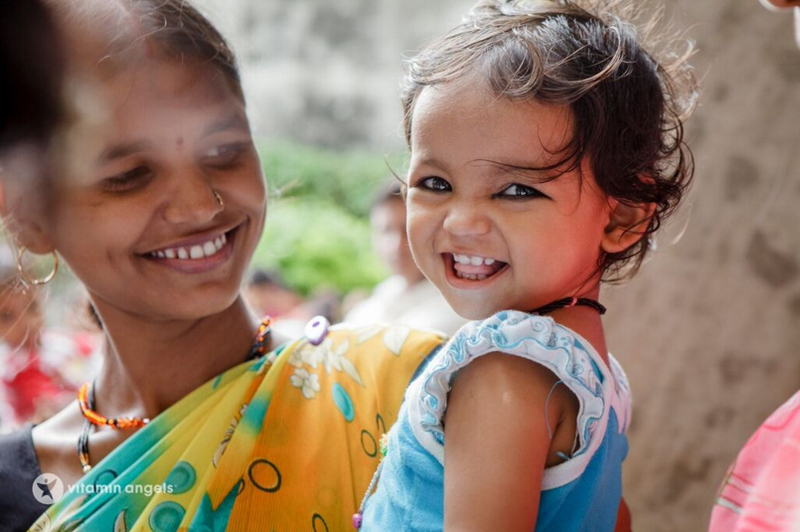 More than 90% of every dollar you give provides vitamins for malnourished children and mothers in need. I can totally stand behind that! Share your favorite #momwin moments on Vitamin Angels’ website and mothers in need worldwide will receive prenatal vitamins for a year free of charge, giving them healthier pregnancies and babies. WOW, right? You’ll be turning your #momwin into an extra big win for a mom in need. As a special gift, Vitamin Angels is also providing a basket of goodies to a lucky reader! When you visit vitaminangels.org/momwin and submit your #momwin, you’re able to share it to your social media profiles directly from the collection of #momwins! Simply click the button to share yours, and tag #skiptomylou. I’ll pick a winner on May 9th! Even if you are not a mom, you can still help! Share a #momwin from a mom in your life, or donate $18 to give prenatal vitamins to a mom in need for a year. Imagine that from just sharing your #momwin you can help give daily prenatal vitamins to pregnant and breastfeeding mothers to help ensure healthy pregnancies, safe deliveries, and adequate breast milk. THAT IS HUGE. Sometimes we take our blessings for granted and don’t realize how many people don’t have access to things that meet their basic needs, we can change that today! Every mom deserves to give birth to happy, vibrant babies. YOU and I can help make that happen! Through 05/09/16, Sponsor will provide $18/#momwin, up to $20,000. See Terms on website for complete details. This is a sponsored post. All ideas are my own and I am careful to share only what I believe. Malnutrition is the #1 cause of preventable child deaths, by partnering with Vitamin Angels we have the power to save a child’s life.